Trabuco is Spanish for blunderbuss, a type of shotgun. Some credit a Franciscan friar traveling with the Gaspar de Portolá Expedition in 1769 with the story that a blunderbuss was lost in the canyon, after which the area was named. John (Don Juan) Forster received a Mexican land grant in 1846 and established Rancho Trabuco. 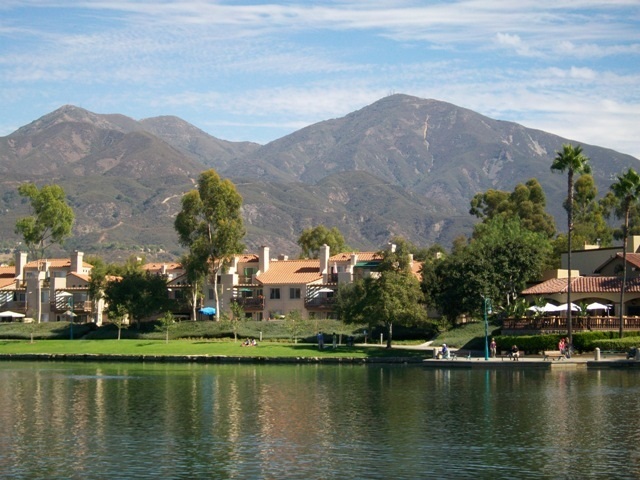 The grant was bordered by Rancho Cañada de los Alisos on the west, and by Rancho Mission Viejo on the east. Trabuco Canyon was the site of attempts to mine tin in the early 1900s. Mining remains from this activity include: tunnels into the sides of the canyon (closed for public safety); the stone foundation of an ore-processing stamp mill; and several dams on the creek. On October 21, 2007, a large wildfire started in Silverado Canyon and spread to Trabuco Canyon. The Canyon was evacuated by the Fire Department.